Cards are printed on premium 16pt stock. 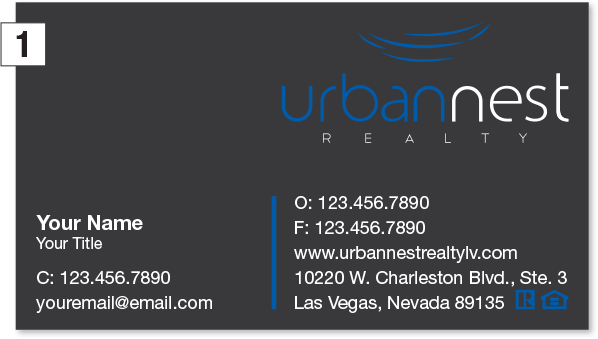 Included options are double sided, agent photo, and glossy or matte finish. 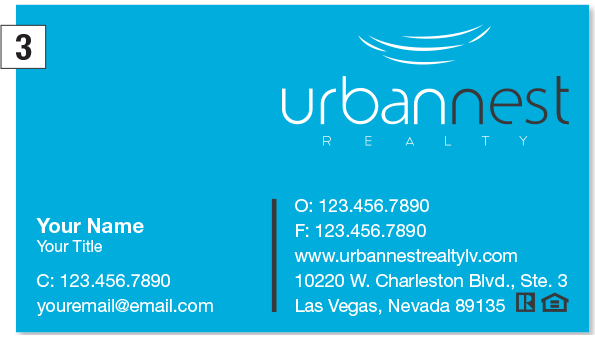 The standard card back contains the Urban Nest logo. 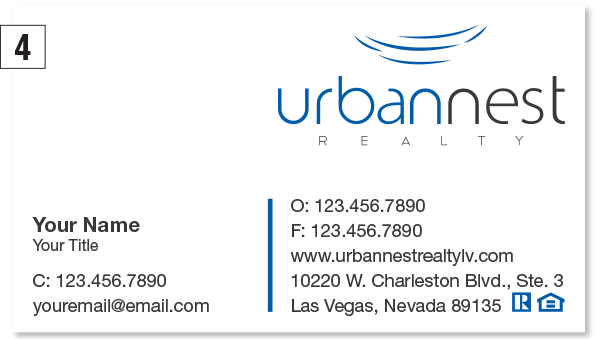 Please note, glossy cards cannot be written on, only the matte finish can. 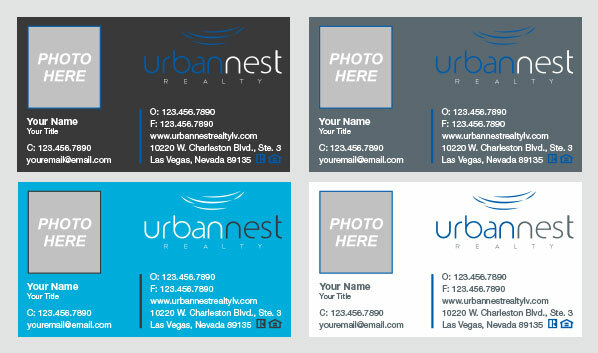 Standard cards are $30 for 500, $45 for 1000, plus $5 setup (using Urban Nest templates) and $5 for delivery. Custom orders are available and quotes will be sent upon request. Once you submit your information, a proof will be sent to you within 48 hours, excluding weekends. Turnaround is within 5-7 business days of final approval and payment. Once the proof has been approved, an invoice will be sent and payment can be made via credit card or check.